SOFIA Folding Bar Stools are an attractive addition to your Balcony, Deck or Patio. Comes in a 2-Pack carton. Made with Acacia Hardwood which is naturally water resistant and ideally suited to outdoor use. Golden Teak Hardwax Oil Finish. Built-in folding footrest. Folds flat for storage. Pairs well with the STOCKHOLM & TORONTO Balcony Tables. SOFIA Folding Bar Stools are an attractive addition to your Balcony, Deck or Patio. Comes in a 2-Pack carton. 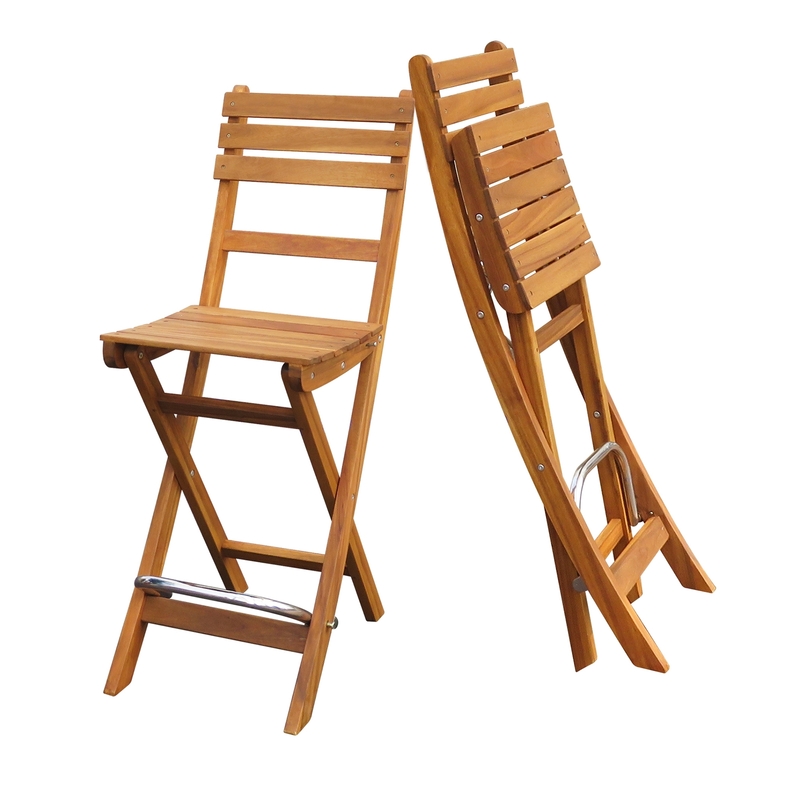 Made with Acacia Hardwood which is naturally water resistant and ideally suited to outdoor use. Golden Teak Hardwax Oil Finish. Folds flat for storage. Pairs well with the STOCKHOLM & TORONTO Balcony Tables.